Photo: Daytime temperatures have been above average across the country over the last year. (Supplied: Bureau of Meteorology). 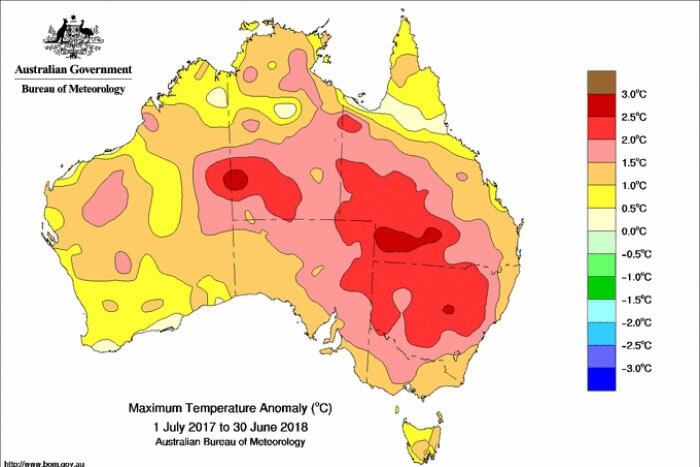 The data has come through from the financial year and it was hot with maximum temperatures the warmest on record from July to June. Minimums were also above average but not record-breaking, at only 0.72 degrees above the long term average. 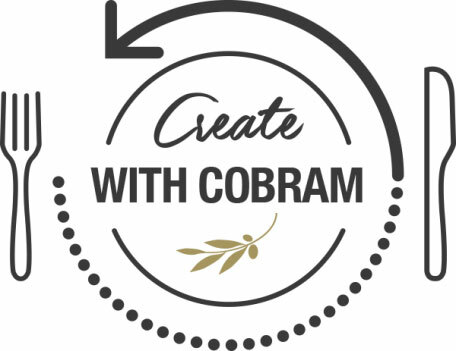 Cobram celebrates World Chocolate Day … with EVOO recipes! Last Saturday was World Chocolate Day and to celebrate Cobram Estate shared a selection of chocolate baking recipes created in partnership with Donna Hay. 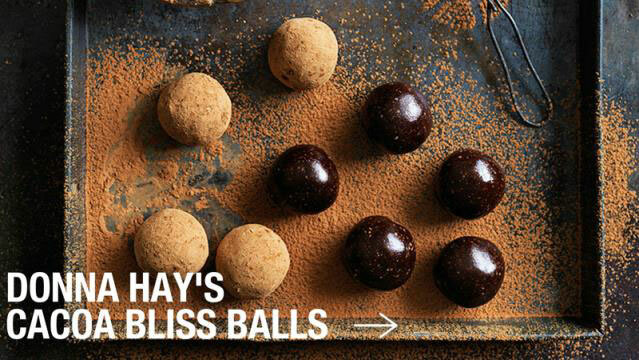 Chocolate + EVOO = indulgence with a healthy twist!! Get the recipes here and get baking – great tasting products for your farm shop or farmers market stall! Olive oil: Mildura is firmly bound to the dried grape industry but there are side industries of importance like the little olive oil factory carried on by Mr Walter Matthews, the crop is irregular this year but should come up to average before the season ends. An interesting snippet on Australia’s early 1900s olive industry history – particularly the focus on “keeping quality in the Commonwealth”. 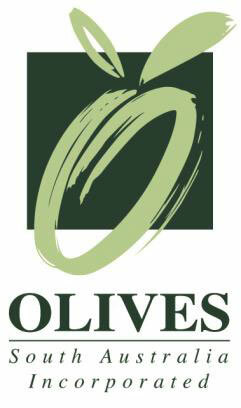 Entries are now open for the Olives SA EVOO and Table Olive Competitions, closing on 17 August. Entry forms are available from the Royal Adelaide Show website here. Late entries will not be accepted so enter now! 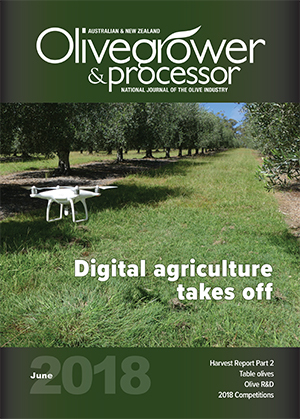 The June edition of Olivegrower & Processor is “in the mail” and most subscribers will have received their copy already. If you’ve received a renewal notice and haven’t gotten around to paying it, now’s the time to act to ensure you get your copy – it’s chock-full of great news, R&D and practical grove information, so you don’t want to miss out! Olive trees on Waiheke island, New Zealand. Olive harvesting season is in full swing in New Zealand, where producers are expecting a record-setting year. Hundreds of olive farmers, oil producers and business representatives gathered in front of the United States consulate in Sevilla, Spain last Thursday to protest proposed American tariffs on Spanish olives. 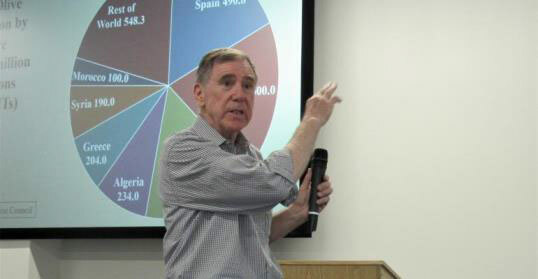 University of California-Davis agricultural economist Daniel Sumner discusses the California olive industry and global trade during an olive workshop July 6 in Orlando, California. As most of its consumers are domestic, olives are among the few Golden State crops that haven’t been thrust into uncertainty by tariffs. Turkish Exporters Assembly said that its olive and olive oil product exports to the UAE in 2018 grew from $1,607,260 to $2,870,800 signifying a growth of 79%. 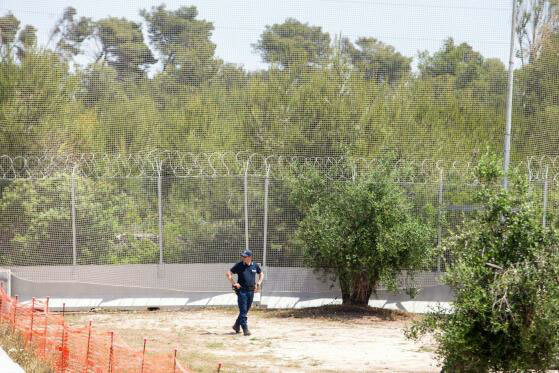 A security service member patrols the Trans-Adriatic Pipeline worksite in Melendugno in the province of Lecce, Italy. Photographer: Giulio Napolitano/Bloomberg. On a recent visit to a construction site near an olive grove along the coast of southern Italy, a reporter’s phone buzzed with an ominous text message: “We know you’re there.” The text came from one of the people fighting to stop the final construction of a 4.5 billion-euro ($5.2 billion) natural gas pipeline that’s designed to run right beneath the olive trees, an area farmed for centuries and now surrounded by barbed-wire fencing. An agreement signed in Rome by Coldiretti, Unaprol, Federolio and FAI S.p.A. includes measures which stirred protests among representatives of the Italian olive oil sector. The executive chairman of the world’s largest olive oil company said today that the business model for the olive oil industry was “broken,” and the next few years will be critical as consumption slumps in traditional markets and a scenario of overproduction with dwindling demand looms. 10 food and beverage trends around the world have already trickled into the Thai market in 2018, and are starting to shape the 'next generation' of consumer demands. Key trends for our industry include “natural”, “farm fresh” traceability and “positively processed”, including cold/low temp processing. 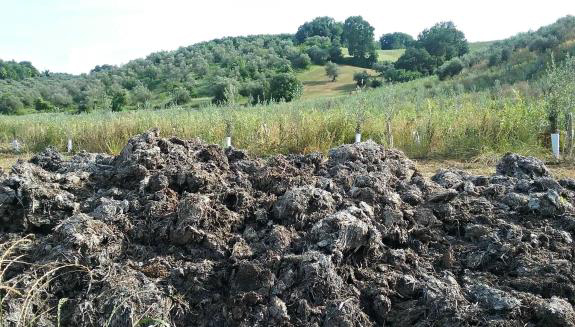 The Oliveto Pependone olive grove and manure at Marina Palusci farm.